Because at no point does your stomach look like a dragon fruit. 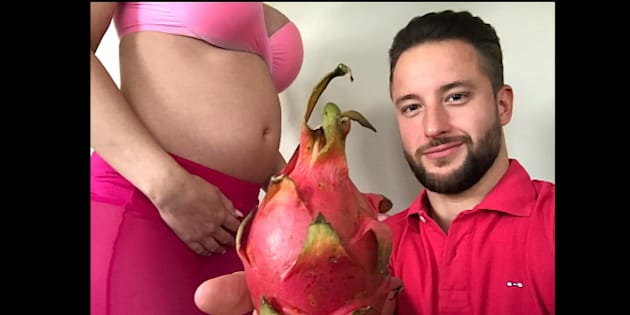 This couple's pregnancy video is better than any 'baby growth' app. Every pregnant person (and/or their partner) has done it. You've downloaded some kind of app, plugged in the due date, and gazed in wonderment at the message that appears. 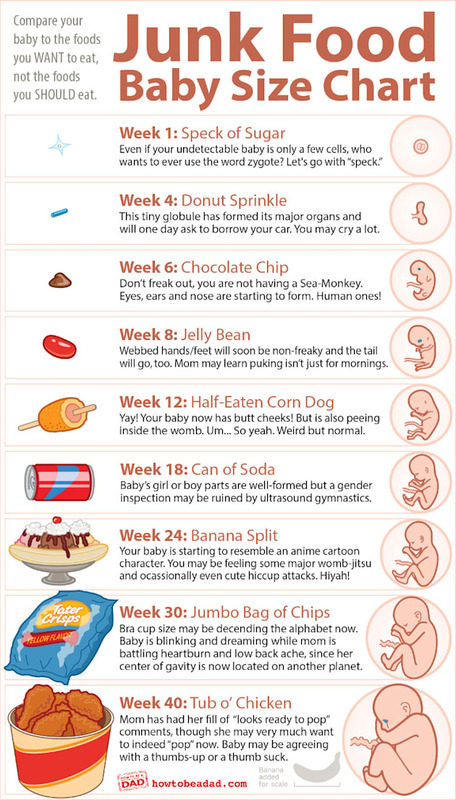 "Your baby is currently the size of a pea," it tells you. And then you look at your stomach and see... nothing at all. Which is why German couple Danny Bortfeld and Marlen Losch decided to do an exact comparison of the two — with hilarious results. In a video posted on Danny's Facebook page, they go through the weeks (and a fair amount of effort), contrasting what must be the messages they're receiving from an app with the size of Marlen's stomach. And guess what? They may as well be holding up different-sized balls. But without our own personal ultrasound machines at home (and seriously, who wants that? ), the fruit/veggie comparison is probably the best examples you're going to get. Scratch that. We just found one brilliant one, courtesy of How To Be A Dad. At least we can all learn from this couple, who seemed to have plenty of fun throughout the pregnancy — and hopefully are enjoying being parents just as much.